Posted February 22, 2016 by Sue Peffer & filed under Services. In his career Dr Martin Quibell has worked as contractor and consultant. He has worked for a CRO and commissioned work from CROs. Over a relatively short period of time he has moved from an initial sceptic of outsourcing to a full convert. Today he works as a provider of outsourced discovery science and this is his view from the field of contract outsourcing for pre-clinical discovery. Outsourcing any aspect of the discovery process was almost non-existent 15 years ago. In stark contrast, here in 2016 this modus operandi is not only considered the norm but is becoming a business necessity right across the spectrum from virtual start-ups through to the pharmaceutical industry giants. As business needs have changed, the market has provided. As the pharmaceutical sector has sought more cost effective ways to execute discovery science, CROs that deliver in silico and wet science have matured and built up trusting and productive relationships underpinned by a track record of delivery. Three major considerations have driven this rise and use of the CRO industry: the genomics revolution; the rise of the virtual funding model; the high rate of clinical attrition. The genomics revolution has provided opportunities for a wide range of new molecular targets, leading to bandwidth that even the largest organizations cannot cover internally. 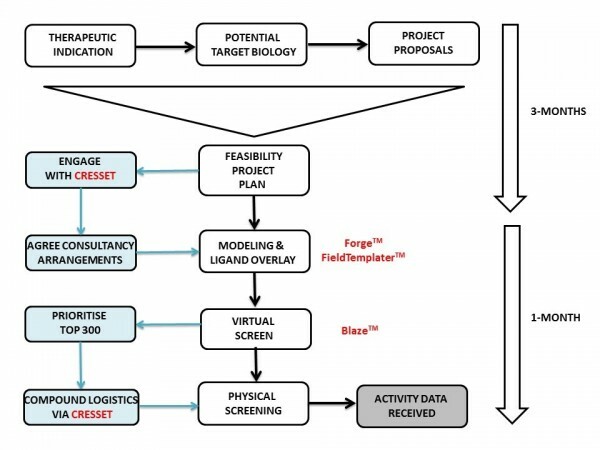 Target validation, early screening, identification and subsequent optimization of molecules suitable for clinical assessment can now be neatly packaged within a small company founded upon the expert knowledge of a few key individuals and offered to big pharma as de-risked late pre-clinical or early clinical licensing opportunities. Today, many start-up ventures are built around key academic or industry experienced experts who have an attractive angle towards novel and commercially attractive science. A small team can progress science to key milestones through a network of advisors and CROs, without the need to maintain an in-house facility to support bench scientists. This is done with very little infrastructure, thus maximizing the proportion of investment spent advancing the science. Innovative ways to increase compound approval metrics are continually sought. This begins in pre-clinical with the design of drug-like properties and goes right through to patient selection for later stage trials. Expert CROs can apply their knowledge and experience to individual aspects of the overall discovery campaign to produce incremental improvements that can add up to a significant improvement overall. From my own experiences as a drug hunter, the rise of the CRO has provided a fundamental shift in our approach to the ‘design-make-test’ cycle, where hits are identified then optimised towards candidates for IND studies. The timely supply of compounds for elaboration or testing is the essence of this cycle, whether this is in silico or physical screening of compound(s) or libraries, preparation of novel entities, building blocks or competitor standards. As with any research programme, clear communication is fundamental to success during this dynamic and fast-moving phase. With a third-party CRO involved, it is crucial that requirements and expectations are clearly defined within the client-CRO business relationship. The following three examples showcase how conceptually the same ‘discovery process’ science can have different requirements, depending upon the nature of the customer and their relationship with the CRO. Virtual start-ups outsource every stage of the discovery process. Initial interactions with CROs are often developed from third-party recommendations and a ‘safe pair of hands’ is usually sought. Every single study is of crucial importance and often the ‘next experiment’ can be make-or-break for the next tranche of funding. The benefits of lower cost vendors from remote sites are attractive, but ultimately the delivery of key milestones and follow-on funding is all important. Founders, investors and management tend to stay with CROs they have worked with successfully in the past. CROs often gain repeat business as an endorsement of productive earlier interactions. Logistical requirements have a big impact on their choice of CRO. The client can make decisions quickly to establish the confidentiality and contractual arrangements. The ‘fully-integrated’ approach is increasingly popular where the CRO provides screening, synthesis and ADME under one roof together with compound management such as physical storage and distribution (with certification) to follow-on third parties. CRO relationships tend to be broader and more strategic in nature with a stronger emphasis on metric discounts. Clients tend to be more open to considering newer players in the field and often test a number of potential CROs with some trial studies (yes, the difficult ones!) to compare quality and speed of performance in addition to cost. When it comes to logistics, a more extensive financial and legal framework needs to be established since the relationship is more akin to a collaboration. CROs usually need to undergo financial vetting to become part of an ‘approved vendors’ list. Contracts are more complex and will involve use of the client’s legal department taking time to complete to the satisfaction of each party. The pitch for service business is clear; the client is explicit in their need and the CRO completes this under the appropriate confidentiality arrangements. The pitch for a more involved interaction that will require novel and potentially patentable exchange is significantly more delicate to balance and can differ depending upon the client and the CRO. Start-ups looking for ‘fully integrated’ vendors will seek a level of detail that builds confidence that their needs will be addressed. The CRO pitches in with specific ideas that are gathered from the knowledge and experience of its own internal experts – ‘tell me what you are going to do and how you are going to do it’. By contrast, for established Biotech or Pharma looking for ‘fully integrated’ vendors, the client is comfortable that the CRO will provide a problem-solving approach and is more concerned with ‘contamination’ of intellectual information during the pitch. The client is more interested in a breakdown of the number of FTEs to be used, their temporal phasing and the level of any additional pass-through costs for reagents etc. – ‘tell me how you are going to it but don’t tell me exactly what you are going to do’. Of course, the reality is that science is performed in a fluid environment. Depending on the individuals involved, business models often follow a hybrid of the situations described above. A good example of this is a recent experience where I engaged Cresset Discovery Services to perform some initial consultancy work followed by a virtual screen. The first step Cresset took was to make a thorough assessment of our needs and expectations. In fact, the initial project set-up phase took longer than the scientific work itself (see diagram). The importance of this stage cannot be overstated for any outsourcing project. It doesn’t matter how good the science is if the communication is not equally as good. If your CRO is answering the wrong question, you are never going to get the answers you need. For the scientific work, Martin Slater used Forge and FieldTemplater to derive a model of the bioactive conformation for the biological target of interest, followed by overlay of the natural ligand with a handful of known small molecule actives. This provided a 3D molecular overlay hypothesis matched to the SAR patterns and this was used to start a Blaze virtual screen of commercial small molecule databases. The output was examined and trimmed to 300 top potential actives that were destined for a third-party vendor for biological screening. Here I hit a major roadblock since my position was within a medium-sized pharmaceutical company that operated with no laboratories, i.e., akin to a virtual model! The 300 molecules of interest were spread across a range of vendors and the prospect of getting each of these onto the ‘approved vendors list’ was daunting. Additionally, if all the molecules could be acquired, how were they to be dissolved and dispensed prior to shipment to the screening house? With a laboratory these are minor and easily solved issues, but without a laboratory the logistics of compound management can prove very difficult. In the end the solution was simple, Cresset project managed compound acquisition, dissolution and distribution to the screening house and from Forge through Blaze and physical screening, IC50 results were received within 4-weeks. In answer to the $64,000 question…..yes, interesting and tractable hits were found! As a client I was very pleased with the outsourcing project that Cresset carried out for us. The project met our scientific goals, thanks not only to Cresset’s scientific expertise but also the way they ran the project. Their level of engagement and flexibility meant that they were able to provide a truly custom solution for us, delivering outstanding science and excellent project management. Dr Martin Quibell has had extensive and varied experience of outsourced pre-clinical discovery. He was a founding scientist and CSO at Incenta, a structure-based discovery start-up, where he delivered NCEs to the discovery pipeline. He was Senior Director of Exploratory Projects at Shire Pharmaceuticals, where every single study was outsourced to contract research organizations (CROs). 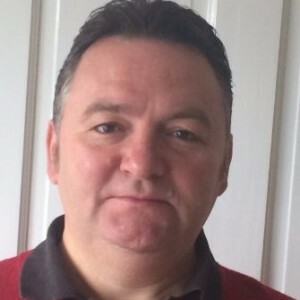 Most recently, Martin worked as Director of Chemistry at Sygnature Discovery, the UK’s largest independent provider of integrated drug discovery resource and expertise to the pharmaceutical industry. He is now the director of MAQU Chemistry Consulting, working as a consultant on discovery projects.